Dozens of unique types of butterfly are passing through Cyprus in the millions this week, putting on an amazing show for locals and nature enthusiasts from coast to coast, Kathimerini newspaper reports. Hundreds of millions of butterflies are migrating from Africa to northern parts for the summer, with Cypriots observing thousands of the magnificent insects navigate by the hour very close to the ground. According to Kathimerini Cyprus, the Vanessa cardui is a very outgoing butterfly, with multiple colours and medium size. This type of butterfly is regarded as one of the most beautiful Rhopalocera. Witnesses have seen a fluttering pattern of this particular species, while Israeli media said experts believe many are waiting in Cyprus to reconnect with a swarm of their relatives from Israel and then all will move on to Turkey. 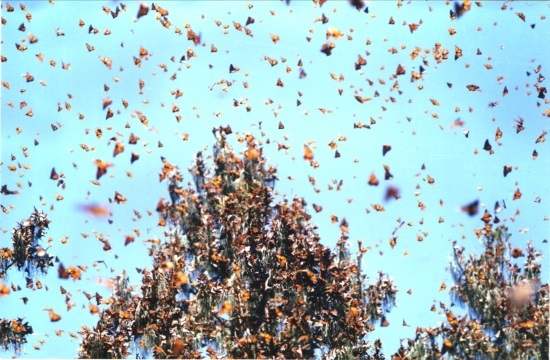 The Vanessa cardui tends to migrate en mass, even billions on a particular journey especially at the start of springtime, while some types have been known to migrate even during the early summer months. According to Kathimerini Cyprus, some of these butterflies will stay behind to give birth, one by one onto special leaves, where caterpillars can find food and shelter.